Top Dawg Entertainment has just unveiled plans for a star-studded tour featuring the label's biggest stars. Kendrick Lamar will headline the event, accompanied by SZA, ScHoolboy Q, Jay Rock, Ab-Soul, SiR and Lance Skiiwalker. 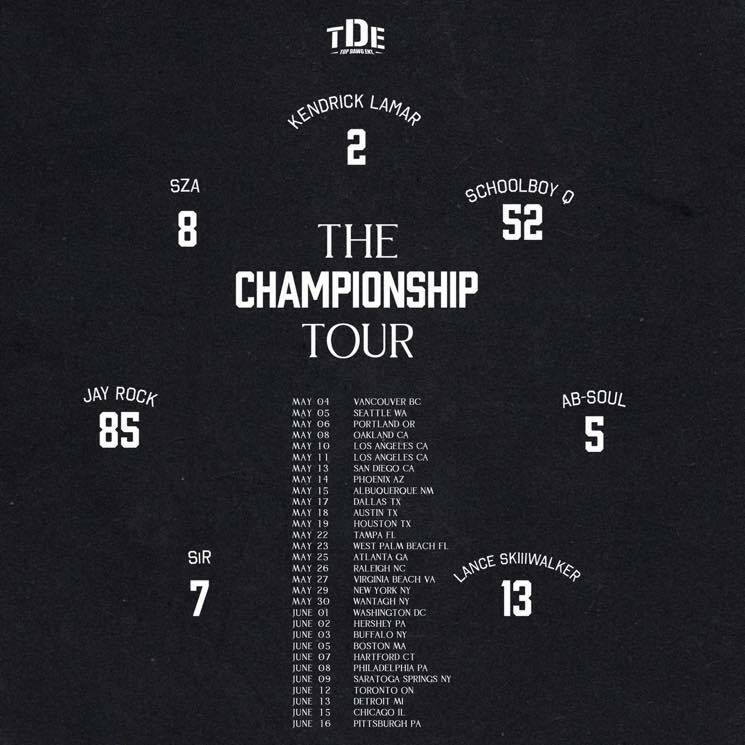 Dubbed "TDE: The Championship Tour," the run of shows kicks off in Vancouver on May 4 and will make an additional Canadian stop in Toronto on June 12. The complete tour wraps up in Pittsburgh on June 16. Other artists set for the packed tour include Isaiah Rashad, Zacari and more. Tickets for the tour go on sale January 26. See the full list of upcoming shows below.